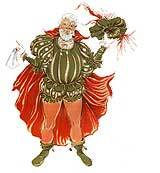 As Aristotle explained it, there are six key elements to theatre: plot, character, theme, scansion, music, and spectacle. Rarely does a play do all of these well, but when it happens, it's a special event. 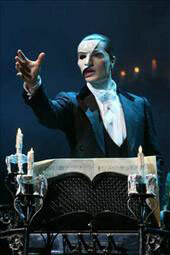 Such is case with Andrew Lloyd Webber's The Phantom of the Opera, the longest-running show in Broadway history, now touring in Denver. Certainly this musical must rank at the top for pure spectacle. Consider that in addition to the stunning scenes at the underground lake and at the steps of the Paris Opera there are three fully-realized and unique operatic excerpts (Hannibal, Il Muto, and "Don Juan Triumphant")—ballets included—as well as a slew of nifty effects, including the chandelier, the Phantom's first appearance at the mirror, and his final adieu in his chair. To be sure, Lloyd Webber took liberties with the story—Maury Yeston and Arthur Kopit's Phantom is truer to Gaston Leroux's novel—but his changes wholly serve the romantic, epic, and operatic sweep of adaptation. John Cudia, the only actor to have performed as the Phantom and Jean Valjean on Broadway, not only dazzles us with masterful vocals in which power and subtlety are equal partners, but moves us with a sensuality and passion that minimize the showmanship and maximize the tension. In addition to her marvelous soprano, Trista Moldovan encompasses both Christine Daaé's adventurous curiousity toward the mysterious masked teacher and her idealistic propriety with Raoul, Vicomte de Chagny, keeping Christine's underlying compassion palpable throughout. Moldovan fully realizes Christine's agape in a passionate kiss that "completes" the Phantom in such a convincing manner that, in the end, when we are left with his mask on the chair, we must assume it represents his healed self—a chilling catharsis! Sean MacLaughlin charms as Raoul. His lovely tenor shines in the memorable "All I Ask of You" duet with Christine. The ensemble and craftsmanship is solid from top to bottom. The costumes are to die for! 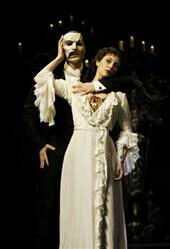 Denver Center Attractions' presentation of Cameron Macintosh and The Really Useful Theatre Company's production of Andrew Lloyd Webber's The Phantom of the Opera, directed by Harold Prince, runs through March 22nd. 303-893-4100 1-800-641-1222, or www.denvercenter.org.